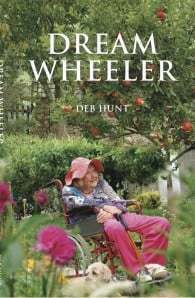 A heart-warming true story that proves it’s never to late to follow your dreams and you’re never too old to look for love. At sixty-four, Jane Lambert swapped her ex-council flat in London for a derelict cottage in north western France. Being in a wheelchair was the least of her worries. Battling freezing winters, blocked drains and dwindling finances, this eccentric Englishwoman renovated her run down cottage and turned the empty plot of land into a gardener’s paradise. But her biggest challenge lay ahead. After three years in France she went looking for love. She put an ad in the local paper and embarked on a series of blind dates, telling none of them about the wheelchair. At the age of sixty-seven she met seventy-two year old Rene, a cantankerous, opinionated ex-Parisian. And that was when her troubles really began. 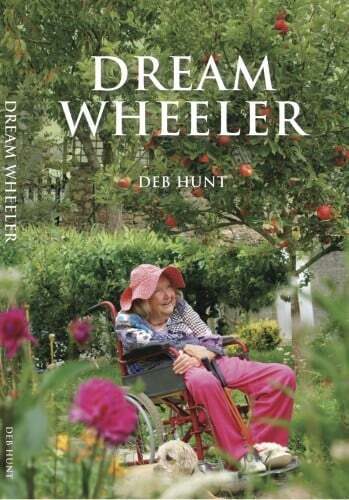 Deb Hunt was born in England, where she worked as a librarian, teacher, event manager, PR executive, actress and journalist. She has worked with Shakespeare in the Park in London, Australian House & Garden magazine in Sydney and for the past five years as a writer with the Royal Flying Doctor Service. She has lived in France, Spain, Saudi Arabia, London, Broken Hill and a small village in Gloucestershire. She now lives in Sydney with her partner and their dog.